Beyond our Top 10 Activities List below, be sure to talk to staff at the Inn about Camden area activities. 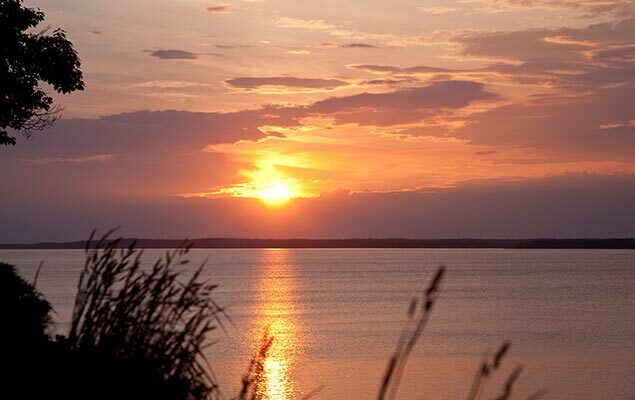 We all have our favorite “off the beaten path” places we’d love to share with you. 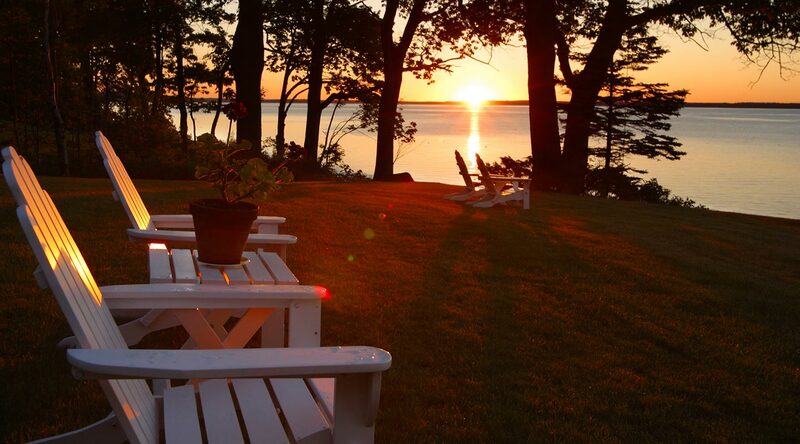 Enjoy our Maine roasted Carrabassett coffee on your private deck while you watch the sun come up across Penobscot Bay. Later in the day, pull up an Adirondack chair on the Inn’s ocean lawn and relax with a good book and a glass of wine from our fine selection. If the moon is full, celebrate a glorious moonrise over the bay with a glass of champagne. 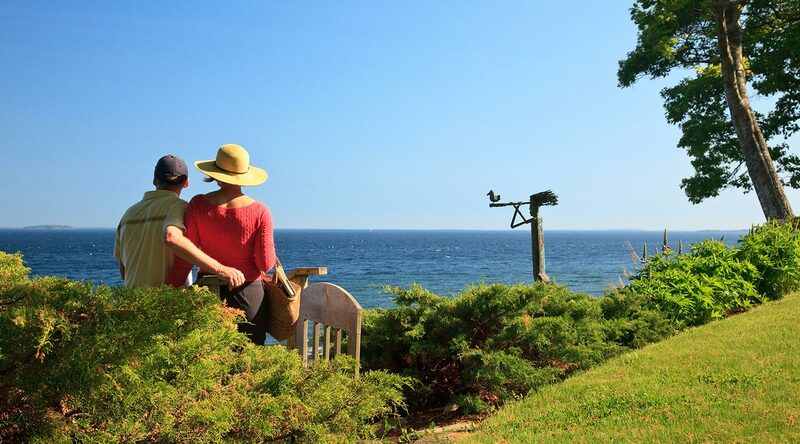 Wherever you take in the magical view from our romantic Maine getaway, just allow some time to gaze at the horizon and let your troubles drift out to sea. Rent a bike at Maine Sport Outfitters or Sidecountry Sports and bike from Rockport Harbor to Camden Harbor, following the coastline along the way. This route is also a great place for a walk. You’ll pass the Belted Galloway cows (alias “Oreo Cookie Cows”) at Aldemere Farm, magnificent homes and enjoy the coastal views near our Inn. Stop at the outdoor Children’s Chapel on Beauchamp Point and check out the gardens. You can’t come to Maine without seeing its lighthouses. 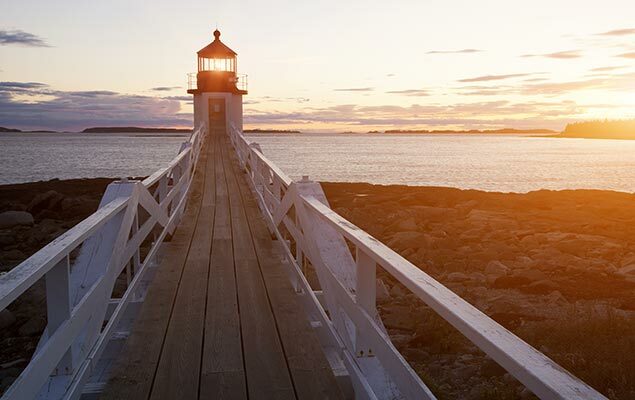 Our favorites are the charming Marshall Point Lighthouse (you may have seen it in Forrest Gump!) and museum in Port Clyde (45 minutes southeast), the Owl’s Head Lighthouse (30 minutes southeast) with its commanding views of Penobscot Bay, and Pemaquid Point Lighthouse (45 minutes south), especially because the drive to get there from our coastal Maine Inn features spectacular views and the lighthouse itself sits high on a rugged, rocky coastline. 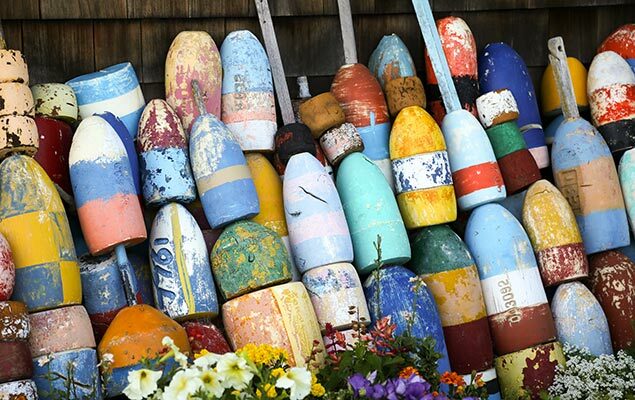 Take a day trip to Monhegan Island – drive 45 minutes to Port Clyde (a classic Maine fishing village), park and catch the ferry to Monhegan Island, a popular artist colony. There are no cars, just fresh air and hiking trails. One of our favorite walks is the verdant “Cathedral Woods”. On your way back, stop at a Lobster Pound and enjoy “lobster in the rough”. 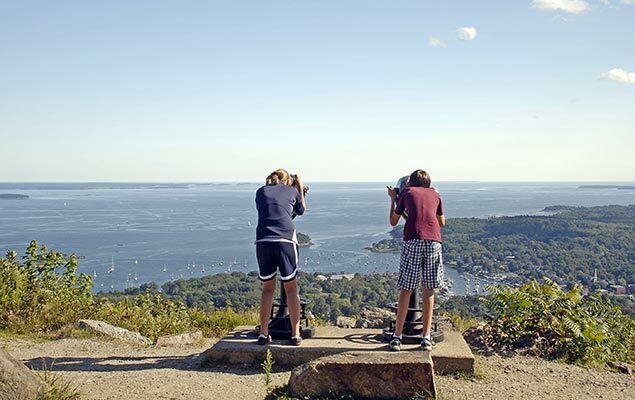 Or journey north about 90 minutes to Bar Harbor and Acadia National Park for the day, a “not to be missed” destination, in this year as they celebrate their Centennial year as one of Americas greatest National Parks. The Camden area is blessed with incredibly talented chefs and fine, as well as casual, dining opportunities are plentiful. Try Rockland’s famed Primo restaurant, or the oyster bar and grill in Rockport, 18 Central. 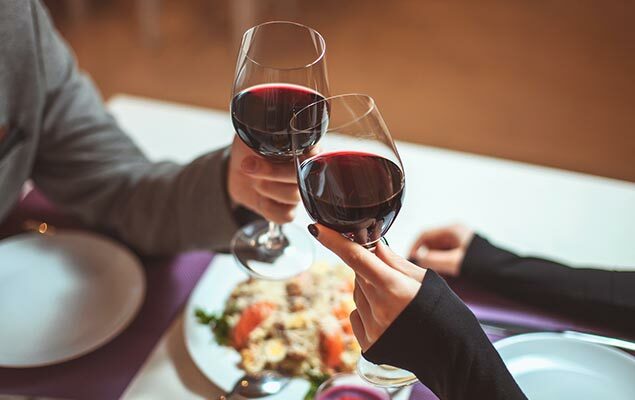 Dress up a bit for Natalie’s or have a romantic dinner at the Hartstone Inn. Or maybe, best of all, from our Lincolnville Inn, drive the 3 minutes up the road to Lincolnville Beach, put on your bib and eat fresh lobster. We’ll send you the full insider’s list when you book with us and take care of all necessary reservations prior to your stay. 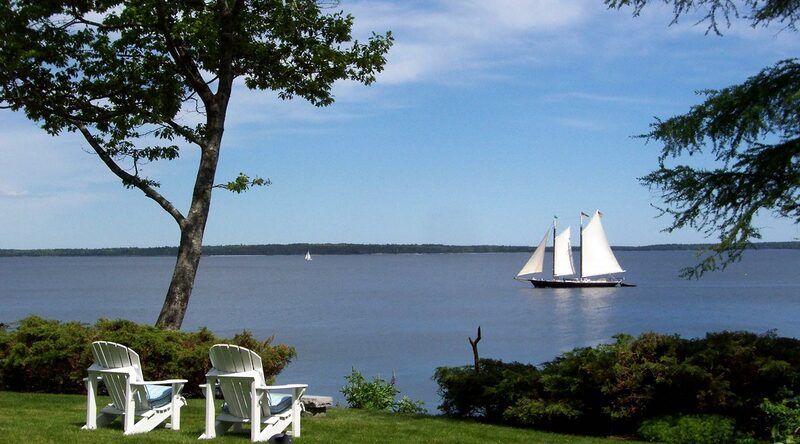 Charter a private sailboat, go kayaking, paddleboarding or canoeing on Penobscot Bay or nearby Megunticook Lake. 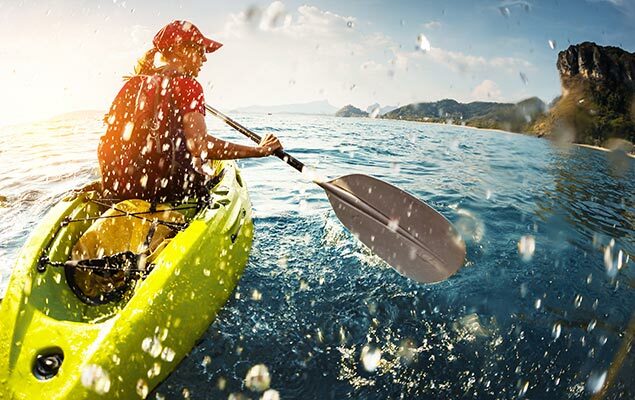 There’s an outfitter with kayaks — Ducktrap Kayak— right next door to our coastal Maine Inn. Go rock climbing in the Camden Hills, (we know outfitters and guides), hike the Camden Hills extensive trail system, Fernald’s Neck Preserve or Bald Rock Mountain trail, or go fishing in Lake Megunticook – we’ll arrange for a fishing guide with all the equipment you’ll need. Sail off into the sunset or enjoy a two hour sail on board an historic schooner departing from Camden Harbor. We love the historic Windjammer Surprise and the Schooner Olad. 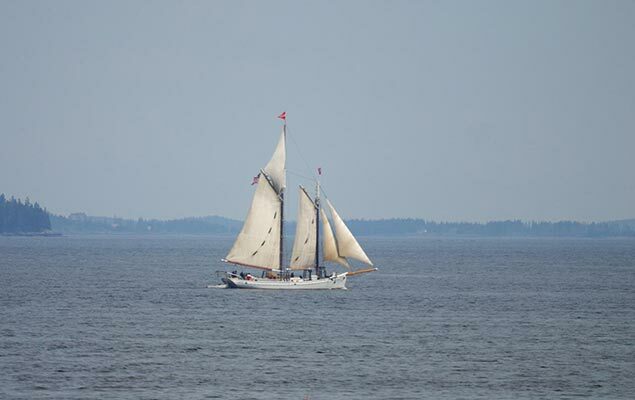 Also, be sure to check out the Maine Windjammer Association and their impressive fleet. Viewing the Camden Hills, lighthouses and the sights and sounds of Penobscot Bay from these meticulously restored sailing boats is an extraordinary pleasure. We’ll make reservations for you! The view from the top of Mt. Battie is simply spectacular and a highlight of your romantic Maine getaway. Either hike or drive to the top of Mt. Battie in Camden Hills State Park, just 2 miles from the Inn’s front door. The view of Camden Harbor and Penobscot Bay is stunning and you’ll feel on top of the world looking down at the village of Camden nestled snugly in its pristine harbor. On a clear day, Acadia National Park’s Cadillac Mountain and Blue Hill are visible on the horizon. Camden Hills State Park features 20 excellent hiking trails, all with glorious views. Midcoast Maine is home to world-class museums & performing arts. A must-see is the Farnsworth Art Museum and The Wyeth Center in Rockland, which houses a unique collection of Wyeth family art – N.C., Andrew, and James. Other unique museums include the Owl’s Head Transportation Museum, known internationally for its antique automobiles, pioneer aircraft and other modes of transportation, and the Penobscot Marine Museum in Searsport. While a guest at our coastal Maine Inn, you should also check out the Maine Maritime Museum in Bath. 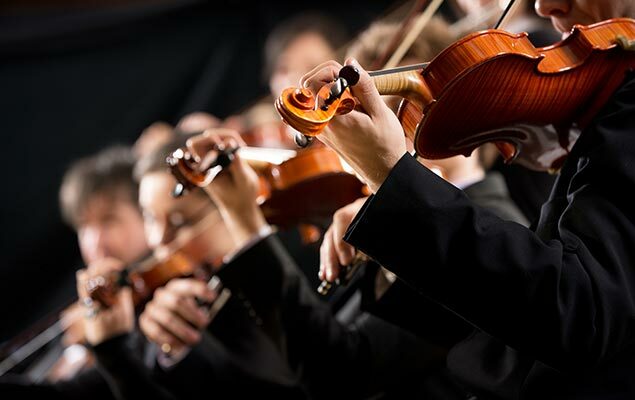 For music & performing arts, check out the Bay Chamber concert series at Rockport Opera House, and programs at the Camden Opera House and Strand Theatre in Rockland. 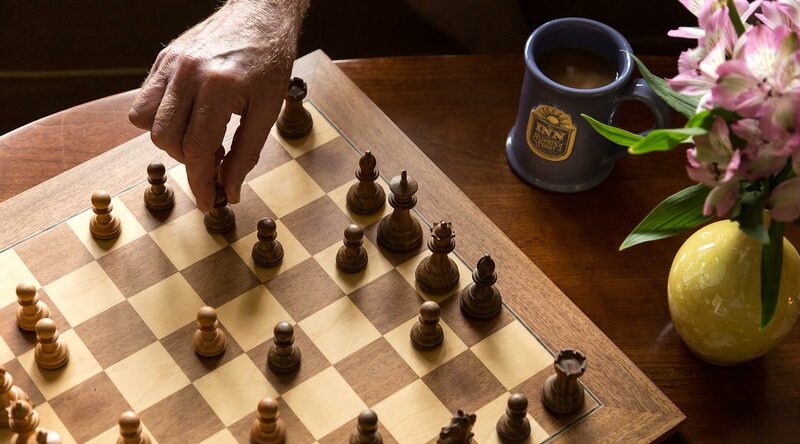 Boutiques, antiques, art galleries, fine craftsmanship; the area surrounding our Camden Maine lodging has it all. An amazing number of artists live in the area and show and sell their paintings, art glass, sculptures, pottery and jewelry in local galleries. Windsor Chairmakers, the Messler Center for Fine Craftsmanship, and Swan’s Island Blankets are among our guests’ favorite places as well. Take some time to stroll around the unique shops in Camden village, Rockland’s Main Street, Belfast and the special places in between.